Great companies realize that their most valuable asset are their employees and their well-being. This means that the best investment a company can make is usually an investment in its workforce and the work environment. One way to do that is through our massages at your office. 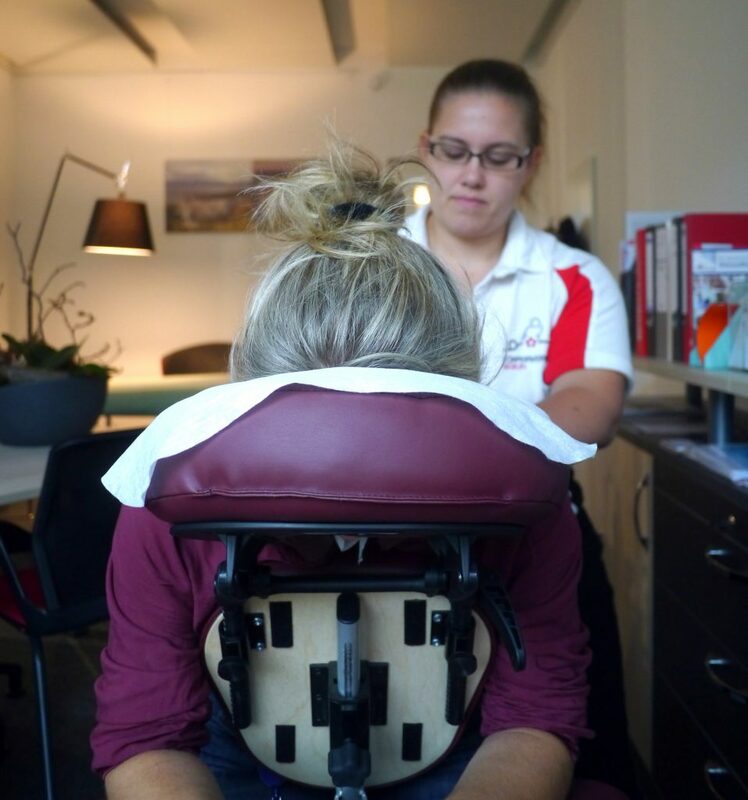 We bring all of the necessary equipment and make sure that the tightness in the neck, back and shoulder area, due to stress and working at a desk for the majority of the day, is reduced. This leads to more productivity and an improved work environment. You book us whenever you want for as long as you want, as often as you want and we take care of the rest. Whether you choose the massage chair or the massage table, we bring all the equipment necessary for a relaxing atmosphere. Companies have the advantage of deducting the cost from their taxes as a normal business expense. You’re not only doing something good for your team, but are also being rewarded for it by the government.